Washington, D.C., is no stranger to unusual lawsuits. After all, the District of Columbia is the home of the Supreme Court, but it’s the Federal District Court that’s home to this particular weird lawsuit. 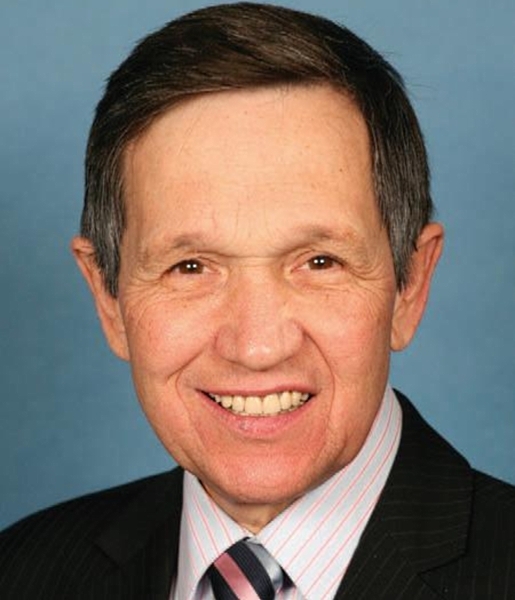 Representative Dennis Kucinich, a Democrat from Ohio, is suing the cafeteria at the Longworth House Office Building. Kuchinich alleges that he suffered dental injuries caused by an olive pit in a sandwich wrap, and he’s taking his rage and dental bills out on the cafeteria’s managers, Restaurant Associates. Dennis Kucinich has filed a $150,000 lawsuit against Restaurant Associates and associated food providers over dental injuries caused by an olive pit in a sandwich wrap. In total, four firms are named in the dental lawsuit filed by Kucinich. None of the firms will comment on the pending litigation. It’s the latest in a recent spate of weird food lawsuits, including Taco Bell being sued over lack of beef in its ground beef and ThinkGeek being sued by the National Pork Board over unicorn meat. Tags: unusual lawsuits, food lawsuits, Dennis Kucinich, Restaurant Associates, Longworth House Office Building, Dennis Kucinich sues Longworth House Office Building cafeteria over olive pit, olive pit lawsuit, Dennis Kucinich injured himself on an olive pit, sandwich wrap lawsuit, Dennis Kucinich olive pit sandwich wrap lawsuit, Dennis Kucinich sues House cafeteria over dental injuries, Dennis Kucinish 0000 dental injury lawsuit, olive pits, Washington, D.C.